Shadow Racing Car inc. better known as Shadow Racing was one of those mysterious teams in the history of Formula One. Besides their sponsoring also team owner Don Nichols was rumoured to be a bit mysterious, to say it nicely. 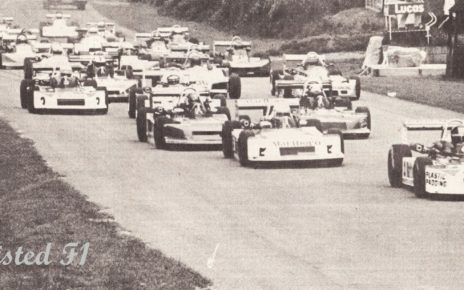 In 1973, the team appeared for the first time on the grid with their DN1 scoring twice a third place with that car. A good start of the new team. Their best year was 1977 winning the Austrian Grand Prix with Jones behind the wheel. 1977 was the same time a dark year for the team, with the horrible dead of Tom Pryce during the South African Grand Prix. After 1977 the team appeared in a decline. For 1978, the team hired Hans-Joachim Stuck and Clay Regazzoni. Both drivers couldn’t do much with the DN8 and the DN9. Only 6 points were scored. 1979 was the beginning of the end for the team. Jan Lammers and Elio de Angelis were unable as well to score any decent results with the DN9. 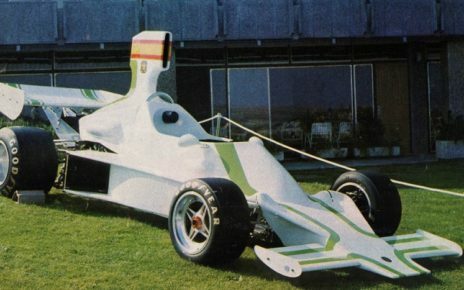 It was clear that Shadow Racing was in financial troubles during the season, for 1980 the financial situation didn’t look bright as well. 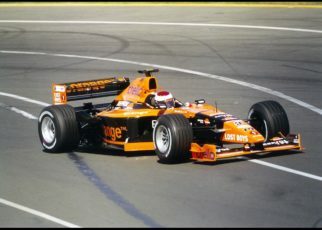 Besides these struggles, the team managed to appear with the “new” DN11. 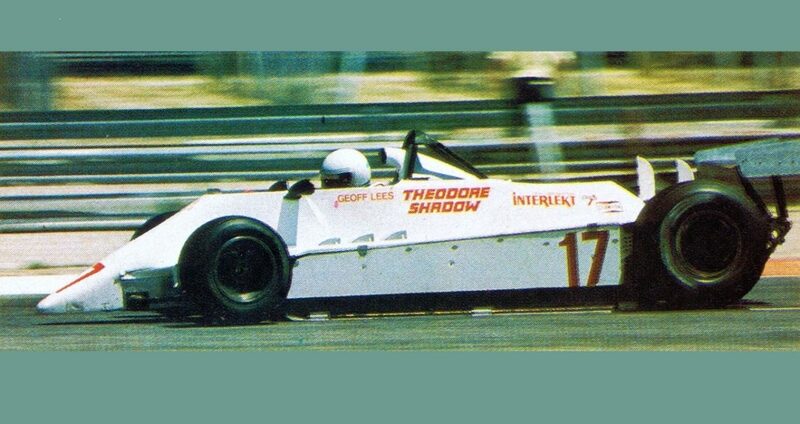 The Shadow DN11 was almost qualified as Unraced. 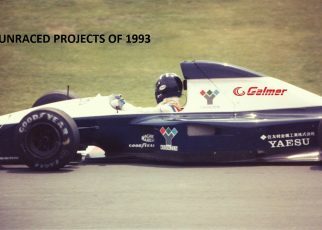 However, during the South African Grand Prix Geoff Lees managed to qualify the car as 24th with a 1:14,460 as best time. 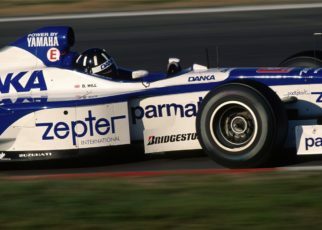 Later in the season, Shadow Racing appeared with the “new” Shadow DN12. The car was designed by Morris and Chuck Graeminger. It was Shadow’s first ground effect car. The Shadow DN12 would be the last attempt from Nichols to keep the team on the grid. Sadly, the results for the DN12 were disappointing. The DN12 made it’s debut during the Belgium Grand Prix with Geoff Lees behind the wheel. He did not manage to qualify the car. Interesting to mention is the fact that during the next Grand Prix, Monaco, the team was rebranded to Theodore Shadow. It was the forecast that Shadow would leave the Formula One. 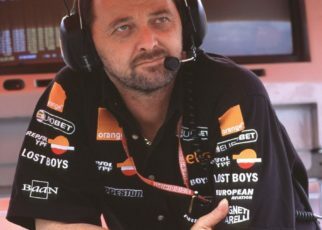 During the qualification for the Monaco Grand Prix Geoff Lees managed to set a time of 1:27,842 again not enough to qualify the DN12 for the race. 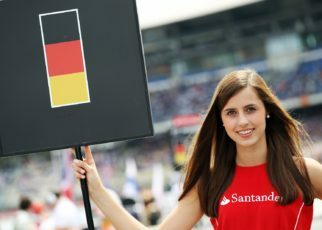 The next race was the XXVI Gran Premio de España Banco Occidental, Spanish Grand Prix. 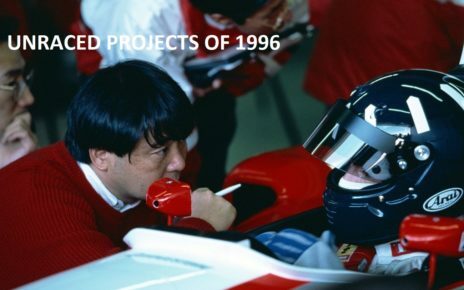 However, during the Spanish Grand Prix the team was rebranded as Teddy Yip and Geoff Lees managed to qualify the car as 20th with a 1:15,708 as best time. Sadly, he did not make it to the finish as the rear suspension of his DN12 collapsed. I have to mention that Lees managed to qualify the DN12 during the Spanish Grand Prix, the car is still unraced as the teams name was rebranded to Teddy Yip for just one race. Therefore, it was not under the banner of Shadow Racing. The Grand Prix of France would be the last Formula One race of the Shadow Racing team. Once again, Geoff Lees failed to qualify his car; his best time was a 1:44,280. Don Nichols decided it was enough. He sold his team to Teddy Yip, who already entered the cars once under his name. In early January 1996 Don Nichols reappeared, for a short time though, in the motorsport. He presented his plans to bring Shadow back in the motor sports to win the 24 hours of Le-Mans, and eventually bring Shadow Racing back on the grid. His aim would have been 2000. Shadow never re-appeared on any series. Trivia: Many people don’t know that Belgium driver Bernard de Dryver was also listed by Shadow Racing as one of their drivers during the 1980 season. He never drover the Shadow DN11 nor the D12 during the season.